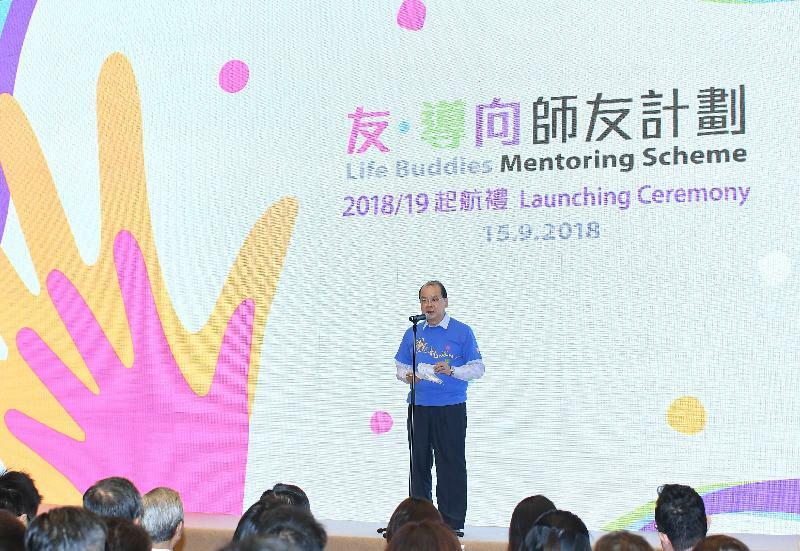 The Chief Secretary for Administration and Chairperson of the Commission on Poverty (CoP), Mr Matthew Cheung Kin-chung, officiated at the "Life Buddies" Mentoring Scheme 2018/19 Launching Ceremony today (September 15) to start the school-based mentoring programme for the new school year. Mr Cheung said in his speech that the Scheme signified the Government's commitment in doing its best in youth development in areas including education, career pursuit and home ownership as well as participation in politics, public policy discussion and debate. The collaboration of the community, the business sector, the Government and the education sector had been key to the successful and sustainable implementation of the Scheme. He thanked participating mentors and schools as well as public and private organisations for their vote of confidence in the Scheme since its launch. He also encouraged mentees to seize the learning opportunity and participate in the activities of the Scheme. Mr Cheung added that the Government would actively consider launching a new round of the 'Be a Government Official for a Day' programme next year, and involving more senior officials so that more students could benefit from the programme. Other officiating guests at the ceremony included members of CoP and a representative of the Salvation Army, which supports the operation of the Scheme. About 500 representatives from government departments, public bodies, businesses and schools, as well as individual mentors from the community and students joining the Scheme, also attended today’s ceremony. At the sharing session, members of the mentor teams of the Deloitte Foundation and the Department of Health, together with their mentees, discussed their memorable experiences in the Scheme. The mentees also spoke on how the Scheme had helped them determine their personal development goals. They also encouraged new participants to take part in the Scheme enthusiastically in the new school year in order to make the most out of the Scheme. The Scheme is a cross-sectoral youth upward mobility campaign launched by CoP. There are three key components under the Scheme, namely the school-based mentoring programme, the summer Job Tasting programme and the "Be a Government Official for a Day" programme. The school-based mentoring programme aims at providing early workplace exposure to youths from disadvantaged backgrounds and allowing them to develop a vision for the future through the guidance of experienced mentors, thereby helping them move upwards in society. Entering its third year, the Scheme successfully enlisted the support of mentors from 48 different government departments, corporations and organisations, an increase of four supporting organisations compared with last year. 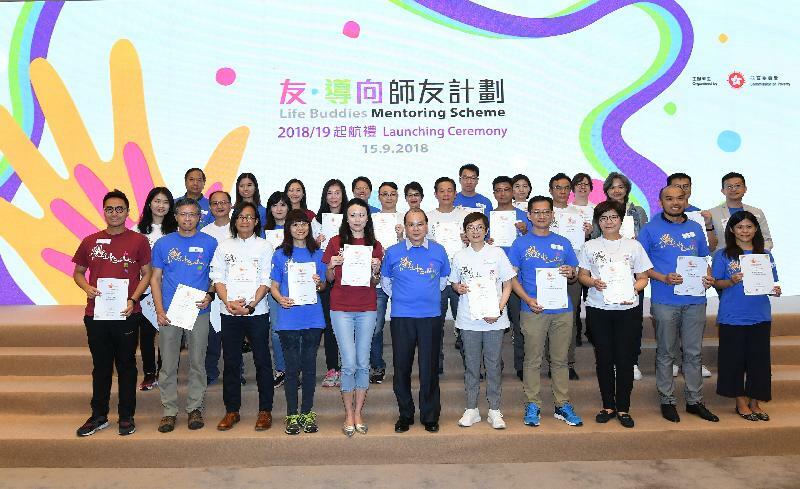 Together with about 50 individual mentors from the community, 60 mentor teams were formed, and these were partnered with 52 local secondary schools to launch a year of school-based activities. The Scheme has also held the Job Tasting programme during the summer holiday for three consecutive years. The programme has provided opportunities for secondary students to have hands-on work experience in real-life work settings, as well as exchanges with employees therein and the chance to shadow them in their jobs. During the past summer holiday, the Scheme provided about 900 job-tasting opportunities with support from 70 government departments, corporations and organisations. A highlights video of the Job Tasting programme was premiered at the ceremony. In addition, the Scheme launched the "Be a Government Official for a Day" programme for the first time this year. The programme received an enthusiastic response with 1 163 applications in total. Thirty-four senior secondary students were selected to shadow the three Secretaries and 13 Bureau Directors of the Government for a day to gain hands-on experience of the Principal Officials' work. The participants also had the chance to directly interact with government officials on their future development directions and goals. A short video featuring the job shadowing experiences of some participants and their discussion of the inspiration gained from the programme was also premiered at the ceremony. 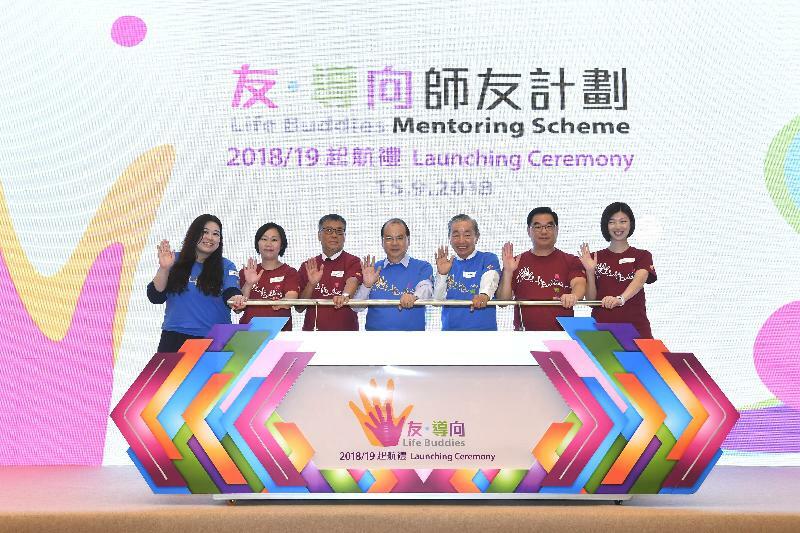 Details of the Scheme can be accessed at the Scheme's website (www.lifebuddies.hk/en). The Scheme has also set up a social network page (www.facebook.com/lifebuddieshk) for sharing relevant information.